Chandigarh,02 April, 2015: Sanjay Tandon Party President Chandigarh BJP has apprised the National Executive about the membership drive carried out by the party in the city. 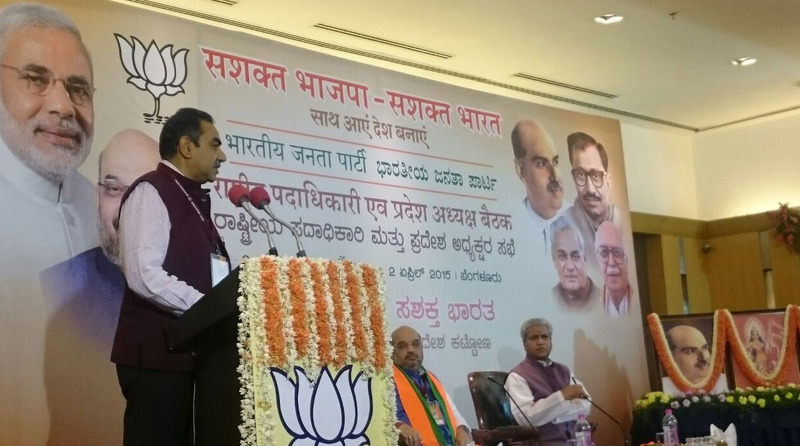 Tandon has attended the National Executive meet organised at the Bangaluru. All the president of the state units and national office bearers are participating in the meeting. Amit Shah national president and the Ram Lal organising General Secretary are conducting the meet. All the state presidents presented their report cards before the central leadership. The focus was on the membership drive. Tandon has provided detailed information about the efforts and the work done by the local unit.